The death of young Gerard at the age of two, and his elder sister, Margaret, six years earlier, is a mournful precusor of the tragedies that lay ahead for the couple. I have not been able to find out what happened to the child that he would die so young. 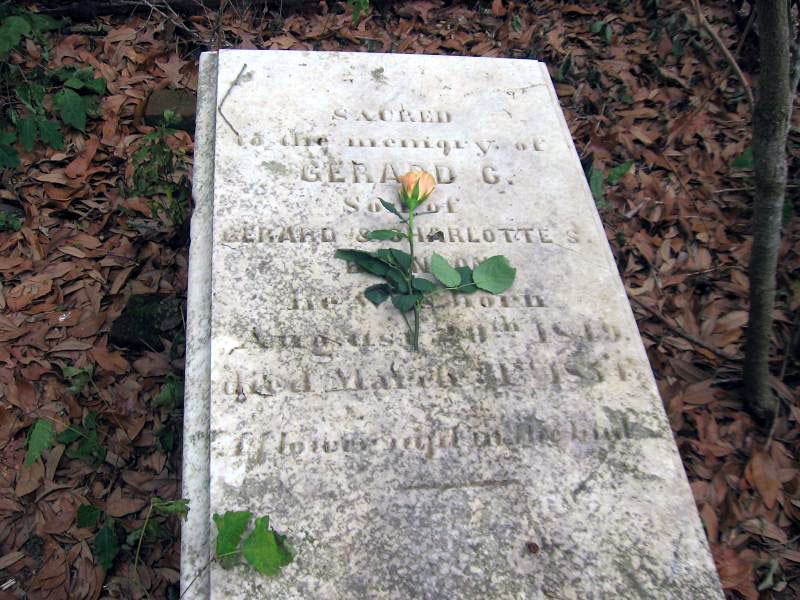 SACRED to the memory of GERARD C.
he was born August 20th, 1849, died March 31st, 1854. "A flower nipt in the bud."